If you’re looking for flexible short-term funding for your business, a business line of credit could be exactly what you need, as it gives you access to a specific amount of money that you can dip into on an ongoing basis. As a business owner, there’s no shortage to the unpredictable scenarios that may come your way: a new pizza oven suddenly malfunctioning, a (way) overdue accounts receivable that’s squeezing your cash flow, or your seasonal business failing to meet revenue expectations due to the previous summer’s less-than-stellar weather. A business line of credit allows you to access capital (which could range from $5,000 to $500,000 or more) as you need it — you don’t make payments or rack up interest until you actually use your funds. Credit lines work best for short term financial needs, such as ongoing operating costs, smaller purchases, or any situation that might result in a temporary shortage in cash flow. A line of credit is designed to give you increased financial flexibility, and is best used as a tool to help fill gaps in working capital. Let’s say you’re approved for a $50,000 business line of credit with a 14% interest rate. You decide to draw $10,000 to invest in top-notch inventory management software that’ll help maximize sales for the upcoming holiday season. With a repayment term of 12 monthly payments, you would have to pay back $11,400 ($10,000 plus $1,400 in interest) in total. You would still have access to the remaining $40,000, and once you paid back the $10,000 you used (plus interest), your credit limit would return to the original amount you were approved for ($50,000). This is why most lines of credit are classified, similar to credit cards, as “revolving.” You can usually tap into these funds again and again — assuming you’ve paid back what you borrowed. However, it’s important to keep in mind that terms vary across lenders. For example, in some cases, you may need to reapply for financing each time you draw from your line of credit. Like any other financing option, there are several pros and cons to lines of credit. Only pay interest on the cash that you borrow. Unsure of how much money you need? If you get approved for a line of credit for $50,000, but only use $30,000, you’d only pay interest on the $30,000. Accessible with poor credit. While getting approved for a traditional loan with a shaky credit report can be difficult, lines of credit — particularly those offered by online lenders — tend to have more lenient minimum requirements. To put this into perspective, while SBA loans and many traditional bank loans require a minimum personal credit score of 640, you can find line of credit minimums as low as 550, and some line of credit lenders do not even list or require a minimum personal credit score. Fast access to funds. If you don’t have time to wait, a business line of credit could be the answer — once you qualify, you could have the funds in your pockets within the same day, and in some cases instantaneously. Able to use for a variety of purposes. Unlike other forms of financing, such as equipment financing, you can use a line of credit for pretty much any and all products and services. It’s meant to help fill the gap in your working capital, whether that’s payroll, purchasing inventory, or fulfilling a large customer order. More expensive. With a line of credit, your interest rate may be variable, which could result in skyhigh rates. Plus, if you miss a payment or go over your limit, you could be hit with costs that put you in the red. Fees, fees, and more fees. It isn’t uncommon to see monthly maintenance, transaction, or annual fees. While at first glance $50 or even $100 bucks may not seem that bad, these numbers can add up quickly, resulting in a much-higher annual percentage rate (APR) that could do more harm than good for your business finances. What’s the best business line of credit for my small business? When choosing the right line of credit for your business, there are some important differentiations you should understand. Revolving vs. non-revolving: While most lines of credit are revolving, it’s important to understand that you may encounter a non-revolving line of credit. What does that mean? Let’s use the example from earlier where you were approved for $50,000. After you used the $10,000, you used the additional $40,000 to keep things afloat during the off-season. With a non-revolving line of credit, once you paid back the $10,000 and $40,000 in full (plus interest), rather than having access to the full $50,000 again, your account would be closed. Secured vs. unsecured lines of credit: With secured lines of credit, you’re required to put up some type of collateral or guarantee, which the lender can seize if you default on your payments. Collateral can include (but is not limited to) real estate, equipment, or inventory. On the other hand, unsecured business lines don’t require any type of collateral. However, because the lender is accepting more risk, you can likely count on higher interest rates. Shop around and compare your options to see which you qualify for and which would be best for your business. Not all lenders ask for the same information. Online lenders may ask you to fill out a short questionnaire and link your business bank account so they can quickly assess the financial status of your operation, or they may request a variety of documents to evaluate your application. A credit card is technically a line of credit, so these two forms of financing are often confused. They’re both tools that can help build your business and personal credit, which can result in more favorable terms for future loan products. Access to cash. With a credit card, you purchase products and services with credit, and then pay your bill later — ideally, in full by the due date listed in your billing statement. With a line of credit, you have access to cash that is deposited into your checking account (once you draw from your credit line). While credit cards are convenient and made for retail purchases that require a quick swipe, there are a multitude of other scenarios where you may need to write a check or access a large amount of cash in a short period. Some credit cards allow cash advances, but it will cost you significantly more than a line of credit, and you’ll like only be able to borrow a fraction of your credit limit. Rewards: Unlike lines of credit, business credit cards tend to offer cash back or travel rewards. Plus, some business credit cards come with an introductory 0% APR period. Credit limits: Lines of credit typically have higher borrowing limits than credit cards. Note: A line of credit is structured so you pay back what you borrow (plus interest) over the course of six to 12 months. This can help when it comes to budgeting payments over time. On the other hand, if you don’t pay off your business credit card in full each month, you may find yourself racking up debt due to overwhelming APRs. There are several key differences between a line of credit and term loan. Loan terms:Repayment terms for a line of credit are generally capped at 12 months. With a term loan, typical repayment periods range from 6 months to 5 years. Use case: A line of credit offers flexibility and is ideal for keeping your cash flow afloat. 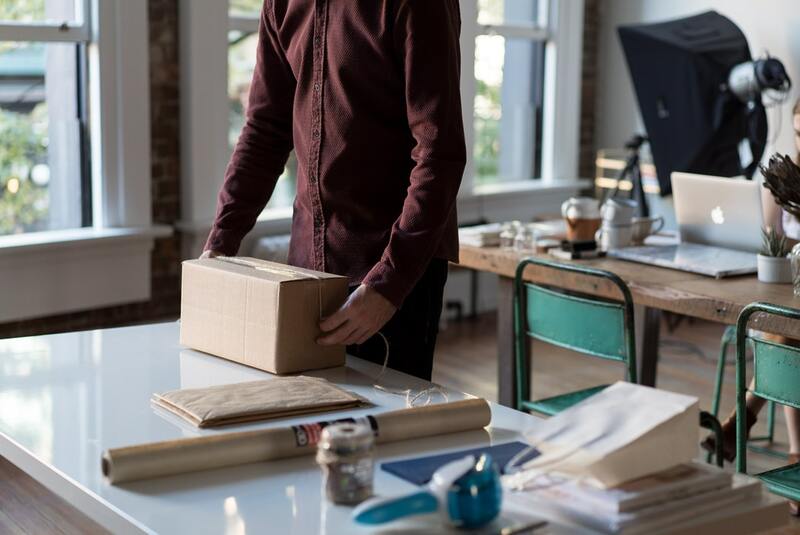 If you own a seasonal business, a business line of credit could help you cover payroll during the slow season or purchase inventory to gear up for the busy season. However, depending on a line of credit to cover a specific long term business investments just isn’t sustainable. A good rule of thumb is to use a term loan for bigger and more specific needs like large equipment purchases, hiring new employees, or refinancing your debt. As a business owner, you might be wearing twelve different hats on any given day. And juggling multiple bills, due dates, and interest rates is just not the best use of your time. Apply for a term loan with Funding Circle in just 10 minutes, and get the funds you need to grow your business fast. Not only can consolidating debt make your life easier, but it could save you money. In fact, many small business owners turn to a lower-rate business term loan from lenders like Funding Circle to refinance more expensive short term debt such as a business line of credit. Do you offer a business line of credit? No, Funding Circle focuses on providing fair, affordable term loans. Our mission is to continually improve our product to deliver the best possible lending experience for your business. While the underwriting process at traditional banks can be clunky and opaque, Funding Circle delivers a best-in-class experience. Built for small business owners by small business owners, we’ve chosen to focus on a single, straightforward, and affordable product: a term loan. You’ll work with a dedicated loan specialist who will guide you through the entire application process and remain focused on meeting your unique financing needs. And we will never leave you waiting – you’ll have a decision from us in as little as 24 hours. We also deliver competitive interest rates starting at just 4.99%, with no prepayment penalty. Funding Circle’s application process is quick, easy, and transparent. You can apply for a business loan and get a decision in as little as 24 hours after document submission. Do you offer business credit for startups? We like to support all kinds of business owners, but our focus right now is on helping established small businesses grow and thrive. To qualify for a loan on our marketplace, your company has to have been in business for at least two years.